Ariens walk behind mowers are designed to maximize operator comfort without compromising price and performance. 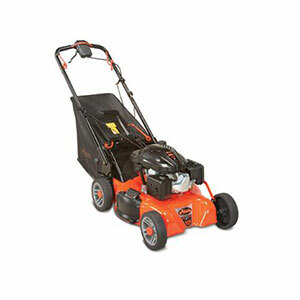 Each mower features a compact design and easy maneuverability for optimal cutting. Whether looking to cut one pass or one acre, Ariens walk behind lawn mowers are designed to produce professionally manicured results and equipped for powerful performance thanks to a wide range of engine options. The exclusive Rite-Hite handlebar adjustment to easily shift the mower handlebar from the operator position. Seven cutting heights with the single point height of cut adjustment. A 3-in-1 system making it easy to quickly transition from mulch to bag to side-discharge.